Nodrft is back on the kart track after some months away! This 1.5 day kart and skid pad track event is open for registration. A full day on the kart track split between two days and the skid pad in the middle(kart/skid/kart). 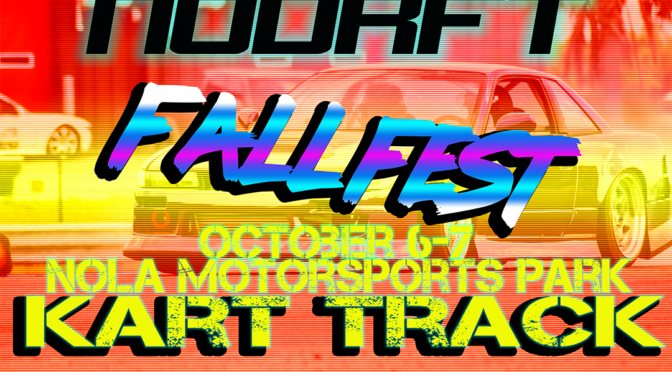 Nodrft Fall Fest 1.5 weekend is open for qualified drivers who want to attack the kart track. The technical kart track is super fun to drive and the best place to tighten up your driving. We may have to implement run groups between advanced and intermediate drivers. Must have driven 3 NODRFT events successfully, if not a local driver, must show credentials of driving through a professional sanctioned event hosts. With a full day Saturday, we’ll finish up half day on Sunday! Open to the public spectating! LATE registration starts OCTOBER 1! Register below via Paypal checkout: (All debit or major cards accepted, in the notes section state if you’re new to the kart track. If not, note how many kart track events you’ve attended). https://www.facebook.com/notes/nodrft-new-orleans-drifters/nodrft-safety-tech-rulebook/942610025813756/Support your grassroots events. Bring your family, tell your friends, everyone, come out and enjoy a full day of fun in the sun! Get your tire-shredding, money pitt machine ready and be sure to save up for TIRES TIRES TIRES TIRES!!! 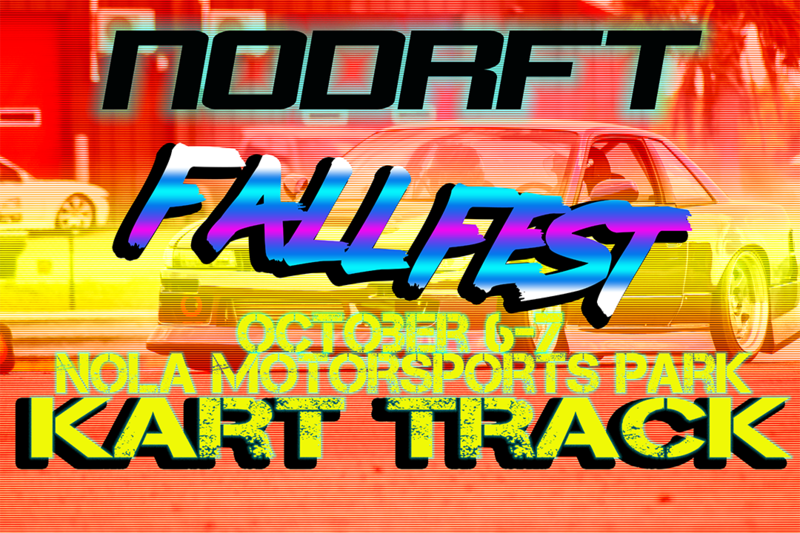 !Prep your cars, fix your broken parts, complete project cars, and hit every new/used tire shop around. Come ready to KILL ALL TIRES! Don’t forget to click HD(1080p or 720p), share, like, and subscribe! 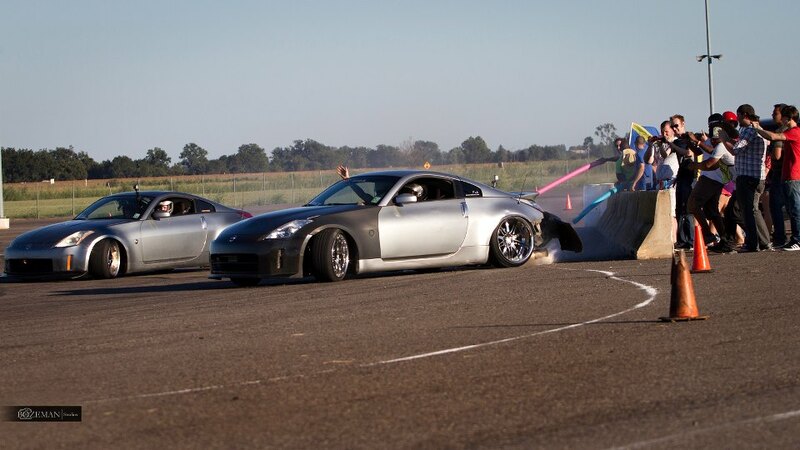 NODRFT 2jzZ33 2jz 350z - 1st Drives Drifts Street Shakedown! Serving the greater S.E. 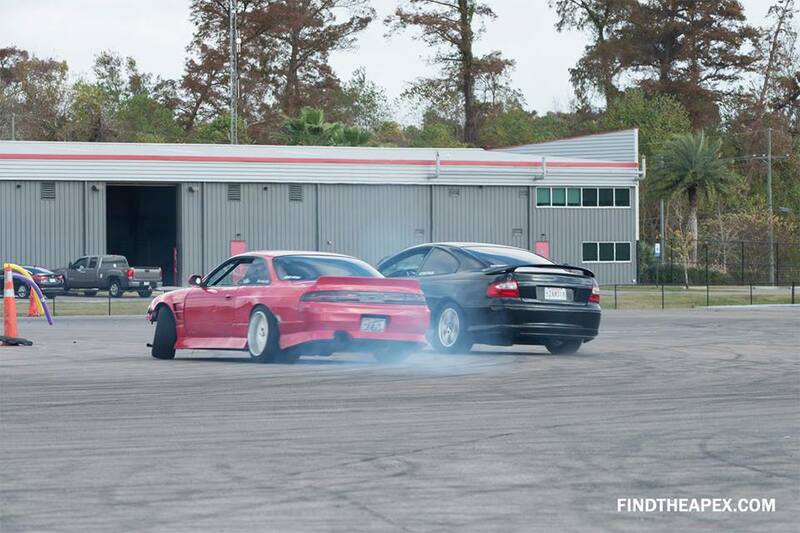 Louisiana area providing a safe, educational, fun, and carefree environment for drifters and fans alike! NODRFT events cater to over 300+ spectators and over 40 drift drivers ranging from grassroots to pro-am from all walks of of the south!